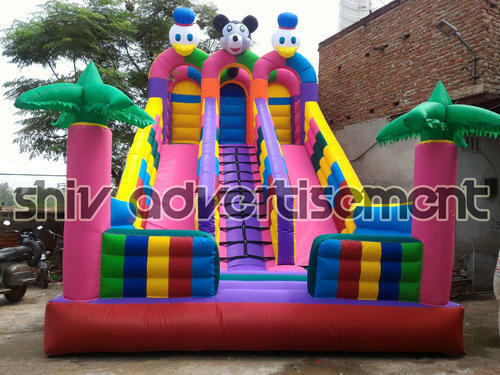 Leading Manufacturer of three lane sliding bouncy, inflatable bouncy castle, inflatable bouncer castle, inflatable castle, inflatable bounce and inflatable jumper from Delhi. We manufacture supply bouncies for play school, kids play areas, kinder gartens, creches, nursey school and fair also. Bouncy is very important item for your school kids enjoyment and physical exercise. Bouncy and all school products are available in our ready stocks. 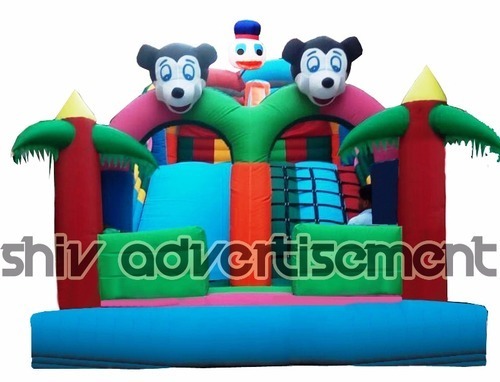 With the valuable assistance of our highly skilled and experienced professionals, we are engaged in offering quality approved assortments of Mickey Mouse Bouncy Castle to our valued clients. 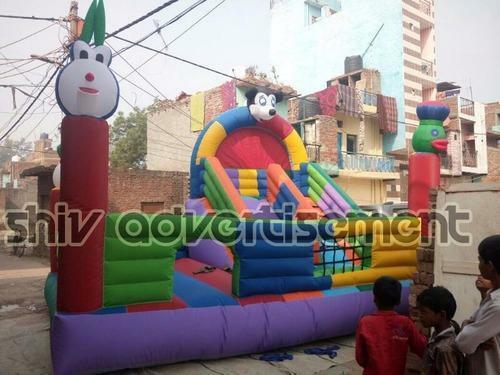 These Bouncy Castle are made using best quality raw material to adhere the set quality norms. 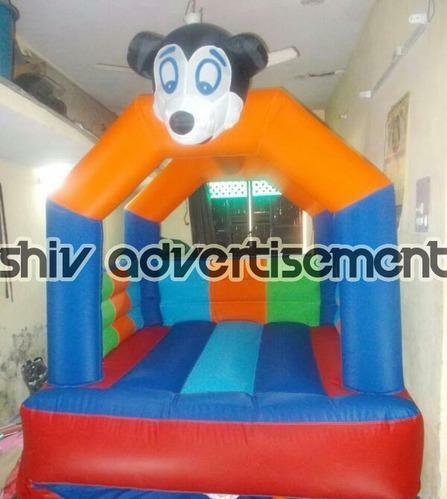 Keeping in mind the diverse requirements of our clients, we are engaged in manufacturing and supplying wide array of Bouncy Castles. These are in high demand for their elegant designs and superior quality. Our products are highly acclaimed amongst the clients for their reliability. We offer products in the stipulated time frame and in safe packaging to ensure their correct delivery to the clients. We manufacture supply bouncies for play school, kids play areas, kinder gartens, creches, nursey school. 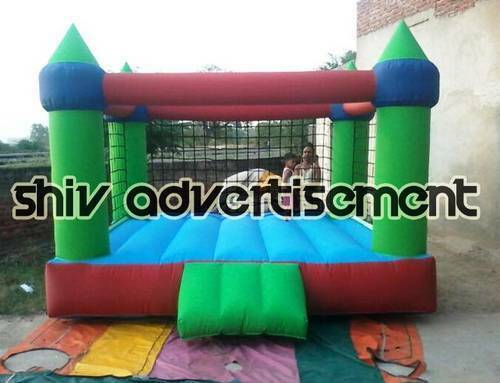 Bouncy is very important item for your school kids enjoyment and physical exercise. Bouncy and all school products are available in our ready stocks. 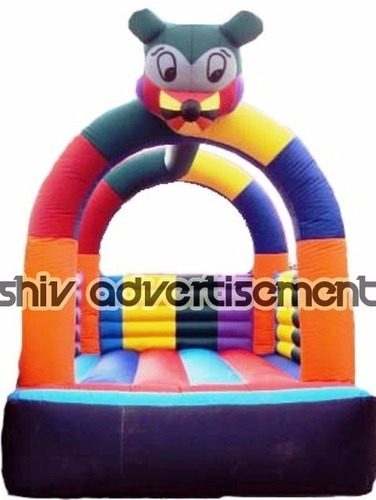 We are engaged in offering a comprehensive gamut of Inflatable Jumper. Fabricated by making use of supreme quality rubber and latex, these offered products comply with the defined parameters of the industry. Furthermore, we have made the offered products available in different sizes and colors so as to meet divergent demands of the clients. These durable and tamper proof products are placed in places such as wedding halls, water parks, resorts and adventure islands.